The Cabaret Club strives to go beyond expectations, creating a decadent environment which seems out of place from the real world but allows our guests the chance of escapism and one evening of fun and frivolity. We bring some of the finest performers around into a sleepy part of Kent, to an audience who are deserving of such talent. We launched in August 2013 to a rapturous audience and with our shows in such high demand we’re trialling a move into a bigger space at our current venue and need enthusiastic helpers to make that happen. We were also successful in our application to create the Medway branch of Dr Sketchy’s (the world famous burlesque life drawing classes) which has further helped secure our position as a dominant cabaret force in Kent! And we’re preparing to launch The Cabaret Club and Dr Sketchy’s for private hires so the need for a bigger team will soon be even greater. These role/s are initially unpaid but if you’d like to get some production experience and are hard-working, reliable and like having fun while you work then get in touch! E-mail hello@thecabaretclub.co.uk with details about yourself, what area of production interests you and what would make you a great addition to The Cabaret Club team. Whatever your skill or passion, even if you work in a ‘regular’ job and want to try something new and exciting, then we’d love to hear from you! You’d need to be Kent based or have transport. This is initially an unpaid role but we are prepared to help and support you in gaining valuable work experience in a theatre production environment. You must be aged 18 or over and be available on evenings and weekends especially on the weekend of a show. This is an exciting time for us and if you want to be a part of the journey then get in touch! 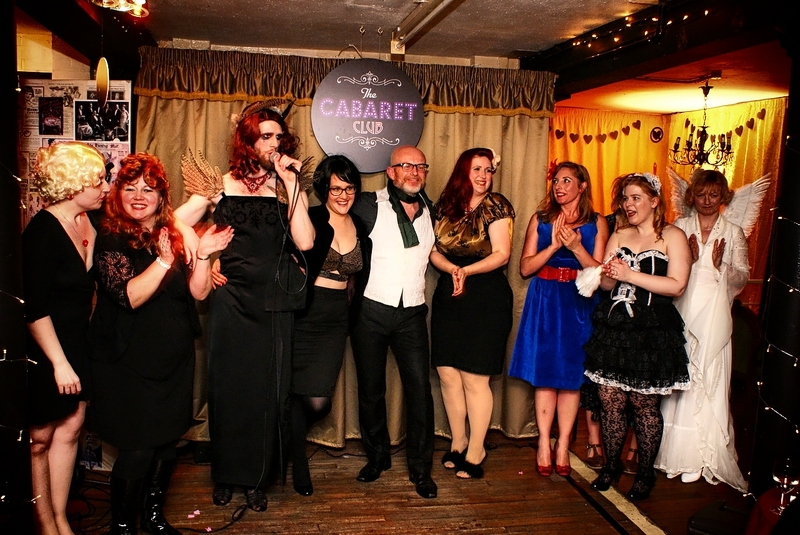 This entry was posted on 16/05/2014 by thecabaretclubuk2014 in Creative / Artist Wanted, Creative and Art News, Creative Opportunities and tagged cabaret, Kent, Medway, production, volunteers.